How to Write a Narrative Essay. Writing a narrative essay is like telling a story. 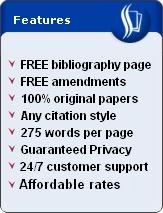 The essay should be written like a typical story-telling type of article where the writer expresses his ideas in his own words. Here are several tips for writing a narrative essay. Be sure to narrate. In other words, don't simply write down random thoughts. Instead, develop the flow of your thoughts by arranging them in a certain order. Jot down the sequence of events regarding your chosen topic. Let this be your guide in writing your narrative essay. An example is to begin with a brief background of why an event is celebrated or observed, followed by a narration of how and why it is observed in present times, and concluded by what you think the event will be in the future. That is, will it still be observed? Or will it undergo dramatic changes? Begin your narrative essay with an interesting quote relevant to the story such as a metaphor or a passage from a poem or another story. This method will help you catch the attention of your reader upon reading the first few lines of your narrative essay. Avoid using lengthy quotes as doing so may fail to capture your reader's attention. The shorter but more compelling your introductory quote is, the better. Each body paragraph of your narrative essay should only focus on one part of the sequence of events. Limit your discussion in every paragraph on one idea. Think of every paragraph as a box where you put only things of the same kind, another box for other things of the same kind, and so on. This will not only show the sequence of the thoughts you are narrating but will also show proper organization of ideas. Remember that writing a narrative essay requires that you write from your point of view. That is, write as to how you see or understand your topic. Interpret your topic from your personal perspective. Refrain from using other people's perspective unless there is a need. The key is to focus your narrative essay from your own mindset. How to write a narrative essay essentially requires your understanding of your topic. Writing a narrative essay usually begins with a brief background of your topic and ends with a conclusion that looks forward instead of backward. 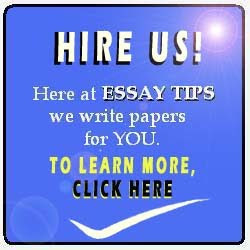 You may also want to read how to write an essay.